As an additional bonus, this guide will also show you how to make the drive persistent so that changes made in the live mode are kept for each subsequent boot. For this guide, you will need a blank USB drive with at least 2 gigabytes of space and an internet connection. 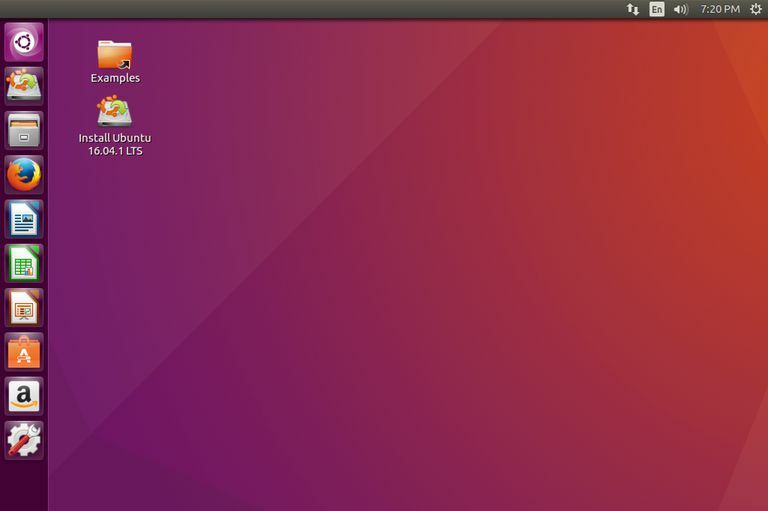 The first thing to do is download Ubuntu by visiting the Ubuntu Desktop Download site. There will always be 2 versions of available for download. The version at the top will be the current long-term support release and this is designed for the majority of users. Currently, the long-term support version is 16.04 and it guarantees 5 years worth of support. Whilst you use this version you will receive security updates and application updates but you won't get new features that are released. The LTS version provides a great level of stability. At the bottom of the page you will find the latest version of Ubuntu which is currently 16.10 but in April this will become 17.04 and then on October 17.10. This version has all the latest features but the support period is much shorter and you are expected to upgrade to each subsequent release in turn. Click the download link next to the version you wish to use. Lots of money goes in to making the Ubuntu operating system and the developers like to be paid for their work. After you have clicked the download link you will be presented with a list of sliders asking you to donate as little or as much to each portion of the operating system's development as you wish to do so. Most people don't want to pay for something without knowing what they are getting. To pay absolutely nothing for Ubuntu click the Not now, take me to the download link at the bottom of the page. The Ubuntu ISO image will now be downloaded to your computer. Create Ubuntu Drive Using Etcher. The best tool for creating a Ubuntu USB drive is Etcher. It's a free software. Use these instructions to download it and create a Ubuntu USB drive. Click the large green download link at the top of the page. After the download has finished click the Etcher executable file. A setup screen will appear. All you have to do is click Install. When the software has been completely installed click the Finish button. Etcher should start automatically. Insert a blank USB drive into one of the USB ports on your computer. Press the Select button and navigate to the Downloads folder to find the Ubuntu ISO image downloaded in step 2. Click Select Drive and choose the letter of the USB drive that you inserted. Ubuntu will be written to the drive and a validation routine will run. After it has completed you will be able to boot into Ubuntu. If you simply reboot your computer you might be surprised when it boots straight into Windows. This is because Windows is usually set to boot before anything else on most manufacturer's computers. If you computer isn't listed here, there are lots of places to find lists of additional hot keys for the Boot menu. Press and hold the relevant function key before your computer boots. Keep holding the key until a boot menu screen loads much like the one in the image. If the keys above don't work for your particular make try one of the other function keys. Manufacturers often change them with no warning. When the boot menu appears click the option which matches your USB drive. To make it possible to install applications and save settings on a live USB drive you need to make it persistent. Ubuntu looks for a file called casper-rw in the root partition in order to provide persistence. To create a casper-rw file using Windows you can use a piece of software from pendrivelinux.com called PDL Casper-RW Creator. Download the application by clicking the link and then double click the executable to open it. Make sure your Ubuntu USB drive is inserted and select the drive letter within Casper-RW Creator. Now drag the slider across to determine how big you want the Casper-RW file to be. (The bigger the file, the more you can save). To get your USB drive to use the Casper-RW file open up Windows Explorer and navigate to /Boot/Grub. Edit the file grub.cfg by right clicking the file and selecting Open With and then Notepad. Look for the following menu entry text and add the word persistent as shown in bold below. Reboot your computer while holding down the shift key and boot back into Ubuntu. Programs and settings will now be remembered each and every time you boot into Ubuntu from the USB drive.